Dominated by the wedding industrial complex. Suffocated by hetero-normative rituals, expectations, and assumptions. Bourgeois performances. Floriza and Eric have been worshiping at Pilgrims since this past winter, and chose Pilgrims to be their community for their wedding ceremony that took place in late July. 1) I don't use "husband" or "wife" in any part of the liturgy I write myself. 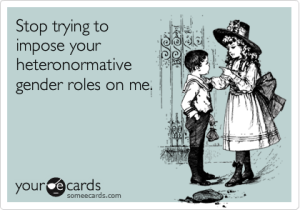 My feeling is I'm not there to create and sustain gender roles and stereotypes. Those are pretty loaded roles and images--husband and wife. The couple can name each other in the vows they write with husband, wife, spouse, beloved, lover, soulmate, etc. Those identifies are more specific and less universal when being linked to the particular relationship. I use names of the couple only. 2) When picking out scripture, ditch the idea of finding scripture on a loving couple based on equality. Outdated. I ask them to pick scripture that represents how they want to be in the world as a couple. What's the vision for your relationship? What do you want to create in your married life other than children? 1) Can we have Rob, Pilgrims Music Director, lead a song in 3-part harmony? My first reaction was in my head---oh, we only do 3-part harmony, a capella songs in worship. WHAT? I am still shocked at my initial reaction at times. Really? We "only do a capella songs in worship?" How do these boundaries creep into my head? I re-grouped and OF COURSE! Eric and Floriza love this type of congregational singing and thought their gathered folks would be more successful in singing in a round than being asked to grab a hymnal. 2) Can we have a laying-on-of-hands at near the end of the service and have people share hopes and dreams for us? I said something before our first song about Floriza and Erica needing everyone gathered to participate in their married life. Since they need participation, they created a service where folks would participate starting right now. And right now means Rob is going to lead us in a song. BOOM. Rob led a beautiful "Amen, Alleluia" song and everyone did it! He taught the song on the spot and people sang with joy. Eric and Floriza turned around back to me after the song was over and they were glowing--so proud of their people for sounding so beautiful as one voice. After vows were shared and rings exchanged, Eric, Floriza, and I gathered in the middle of the sanctuary. Everyone was invited to come forward and lay hands on Eric and Floriza. I asked for people to share hopes and dreams for Eric and Floriza. Ten minutes later folks were finished sharing. The intimacy. The gift of being able to touch Floriza and Eric on a day when a couple can look like porcelain and feel so abstract to family and friends. The improvisational nature of calling out hopes and dreams that were real (forgiveness, honesty, truth-telling) to adoring (I hope you get a dog and a lego set). The ability to share and hear so many voices in the sanctuary. Most of the time in a wedding liturgy the voices are limited to the officiant and the couple. The risk-taking, trust, and participation on those gathered--elements of a married life. As a worship leader it was a strong reminder to me that if you lead people along in liturgy with something new, they will do it. "My people aren't ready." "They won't like that." "People will freak." Really? Because Floriza and Eric had two ideas that were new to almost everyone in that sanctuary. Rob and I executed their ideas and people came along with us. Is it that the people aren't ready for change or is it the worship leader who isn't ready? Thank you, Eric and Floriza, for expanding my horizons with the wedding liturgy, subverting expectations, and creating something fabulous and new along the way.